In my latest DivGro Pulse article, I reiterated my plans to sell three stocks. Today I'm reporting on selling two of these stocks. The third, PennantPark Investment (PNNT), will remain in my DivGro portfolio until the end of December and possibly into January 2017. I first want to collect PNNT's last 28¢ quarterly distribution. The company cut its distribution by 29% last week. This year, I've repositioned DivGro for options trading. While my focus will remain on generating a reliable and growing dividend stream, I want to leverage my stock ownership and boost dividend income with options income. Repositioning involved closing several positions and buying more shares of existing positions, rounding out the number of shares to 100 or multiples of 100 shares. As a result, I've reduced the number of positions in DivGro from a high of 66 at the end of June, to 51 at the end of October. The main goal of DivGro is to generate a reliable and growing dividend income stream. I'm fully committed to investing in quality, undervalued dividend growth stocks. This year, I've added an interesting sideline activity to DivGro, namely using options to boost dividend income. By selling calls against stocks I own or selling puts on stocks I'd like to own, I can collect options income and so boost DivGro's dividend income. I compile my monthly options update articles shortly after options expiration Friday. That way, I can report on options that expired and those that got exercised. Usually, these articles will also report new options trades and provide a running tally of options income to date. 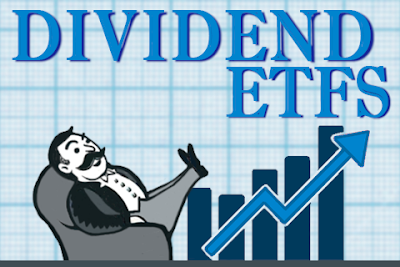 In the past week, 7 companies on my watch list declared dividend increases. This is the third edition of my new monthly article series in which I'm monitoring the health of DivGro, my portfolio of dividend growth stocks. This past week, 11 companies on my watch list decided to increase their dividends, including 2 of the stocks I own. I'm rather late with my monthly review post. Some heavy options trading activity last month resulted in two fairly lengthy options update posts, which spilled over into the first week of the month when I usually prepare my monthly reviews. This month, I closed one of my DivGro positions, Caterpillar, Inc (CAT). I'm concerned about CAT's near-term future and the sustainability of its dividend. I also trimmed my Cisco Systems, Inc (CSCO) after a covered call option was exercised. I used the cash to add shares to an existing DivGro holding, Pfizer Inc (PFE). The net result of my October trades is that DivGro's projected annual dividend income (PADI) decreased by about $49. I'm still on schedule to achieve my goal of increasing PADI to $12,000 before year's end. I rank a selection of David Fish's CCC dividend growth stocks every month. The top 10 ranked stocks are great candidates for further analysis. I use different screens every month to trim the list of more than 750 stocks to a more manageable number of candidates. This article reveals the top 10 ranked stocks for November, as well as their ratings. Recently, 19 companies on my watch list declared dividend increases. In Part 1 of my October Update of my October options update, I covered new covered calls and cash-secured puts and provided a running tally of my options income to date. I reported ten new options trades, four covered calls, and six cash-secured puts. In all, I have executed 23 options trades of which 16 remain open. In Part 2, I'll discuss assignments and present expired and open positions. One assignment added new shares to my DivGro portfolio and a few covered calls expired, so I have several uncovered positions to consider. These positions offer opportunities to generate more options income. As I mentioned in Part 1, I consider myself a beginner options trader with lots yet to learn. If you're an experienced options trader and see anything I do that looks suspicious, please let me know in the comments below! Time again for an options update! I usually write these articles shortly after options expiration Friday, but I decided to delay this one by a week because I sold a weekly option that expired last Friday. I wanted to include details on that trade in this month's update. I won't be trading weekly options again in the foreseeable future. Weekly options have lower volume and strike prices have wider spreads. Last month I added nine new options trades. This month I'm reporting ten new options trades, as well as two expirations, a partial exercise, and an assignment. As usual, I'll give an update of all open trades and a running tally of my options income to date. In the past week, 18 companies on my watch list announced dividend increases, including 2 of the stocks I own.